According to the World Health Organization (WHO), headaches are among the most common types of nervous system disorders. Nearly half of the US population has experienced at least one in the past year, with many people experiencing several per month. Headaches are characterized by pain originating in the head/or neck, often lasting between 15 to 180 minutes. So, can massage therapy offer relief of headaches and the pain they cause? While results vary from patient to patient, there are numerous reports of massage being used to treat headaches. One recent study found massage therapy to reduce the number of headaches experienced by participants. Other studies have reported similar results, suggesting that massage therapy can reduce both the frequency of severity of headaches, including migraines. To better understand massage therapy and its therapeutic benefits for treating headaches, you must first look at the causes of headaches. Doctors have yet to fully understand the nervous system, but there are certain triggers that have been identified as precursors to headaches. Tension is one of the most common headache triggers. When the muscles remain in a tense state, stress hormones are produced and released within the body, which could spur a headache. Massage therapy works to relieve this stress by kneading it out of the muscles and tissue; thus, treating the headache at its root source. As mentioned above, massage therapy is an excellent tool to reduce stress and anxiety. Small amounts of stress pose little-to-no harm to one’s health, but excessive, prolonged bouts of stress can lead to headaches. Massage therapy is also helpful for stimulating blood flow. Poor circulation has been known to trigger headaches among other adverse conditions. With massage therapy, however, you can safely increase blood flow throughout your body, which should in turn offer relief of headaches caused by poor circulation. 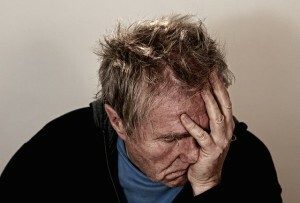 This article was posted in Massage, wellness and tagged chronic, headaches, pain. Bookmark the permalink. Follow comments with the RSS feed for this post. Both comments and trackbacks are closed.